For many years now newspaper book sections have been shrinking and even disappearing. Change is good, or so they say, but newspaper book sections are literally running the risk of extinction. Below you'll find a well-researched list of the best newspaper book sections in USA newspapers today. We've made an effort to order these according to total circulation with the largest newspapers listed first. 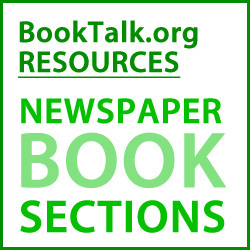 BookTalk.org salutes those newspapers that have kept their newspaper book section alive and thriving in the face of budget cuts, mergers, and consolidations. If you see any bad links, errors or omissions on this page please let us know so we can keep this Newspaper Book Sections list up to date and an accurate resource for our fellow book lovers.